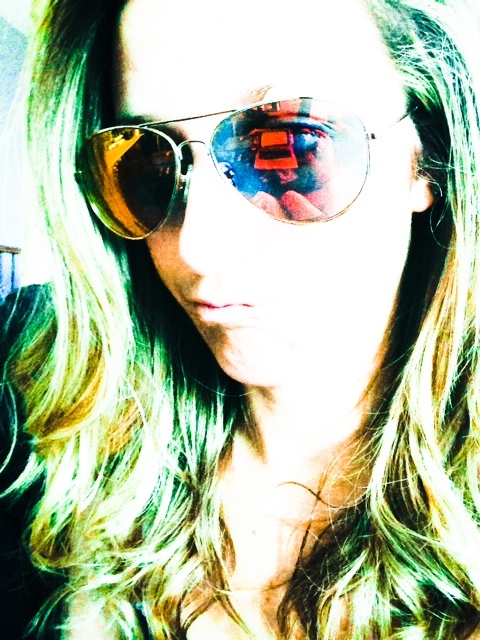 I have been so busy that I forgot to talk about something I got in the mail recently: Nectar Sunglasses. 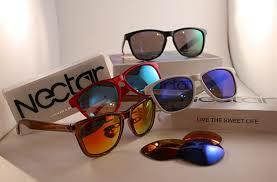 About the brand: Nectar sunglasses is in the business of enjoying life. The brand launched with the intention of capturing the essence of living life to the fullest. Promoting doing what you love and loving what you do. Daring to go where no else will. The concept is simple – connect a diverse network of individuals with a common thread – to enjoy life more. Nectar’s goal is to spread the sweet life with their unique mix of advertising, personalities, athletes and products. The culture stems from athletes, artists, musicians and other like minded people. I visited their website and chose the desperado frames. They had a pinkish/orangish hue with an aviator look. SWEET. I was super excited to get them and rock them HARD around town. Especially since I had recently sat on my tried and true sunglasses. Flash forward to mail day- I quickly whipped them out and 1.) they were slightly bent out of shape from being mailed. 2.) they weren’t dark enough to keep me front squinting! Ok, so burn for the bright-day wear. These are strictly (in my opinion) fashion glasses. Now someone just has to invite me to a party so I can show up wearing these bad boys. I’ve had them a couple weeks now and I have tried them on with every outfit I’ve worn since. I only took them off because I can’t really wear them IN the office. That would just be weird.